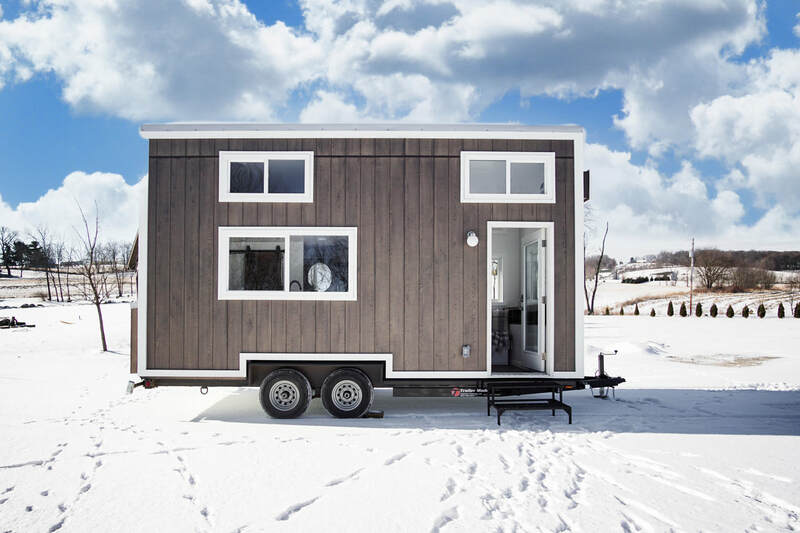 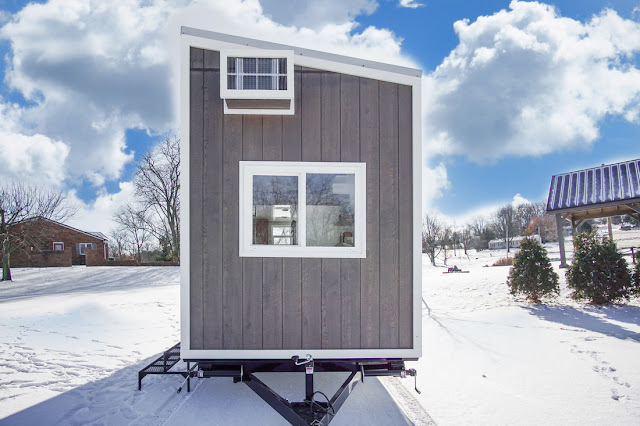 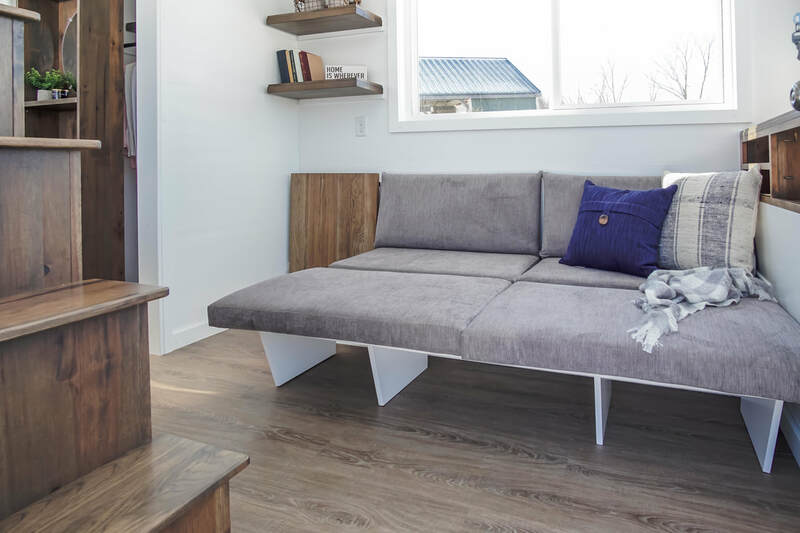 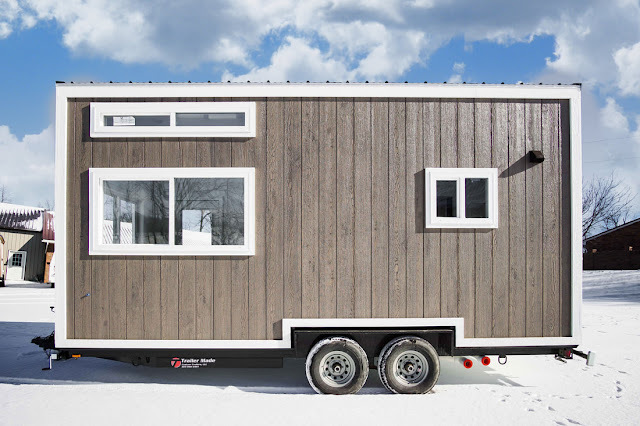 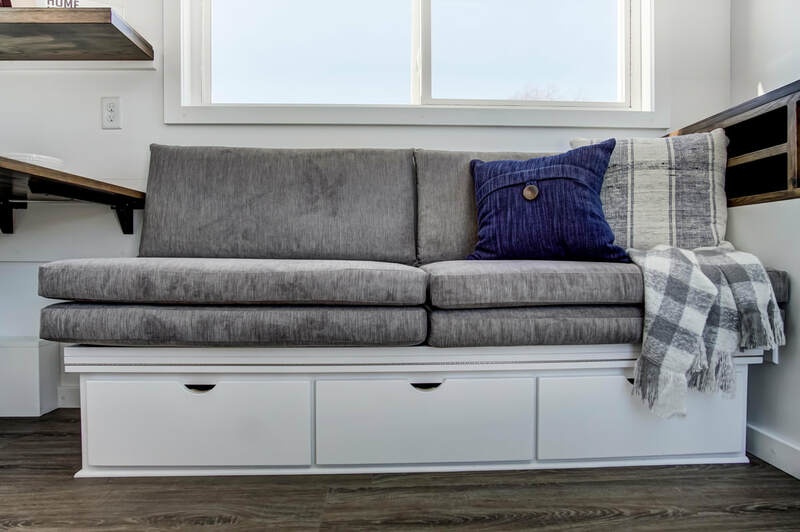 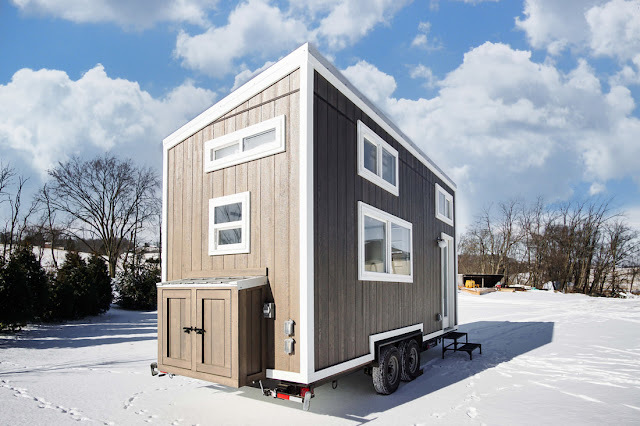 Modern Tiny Living has released another version of their popular Mohican model! This one's named the "Cocoa". 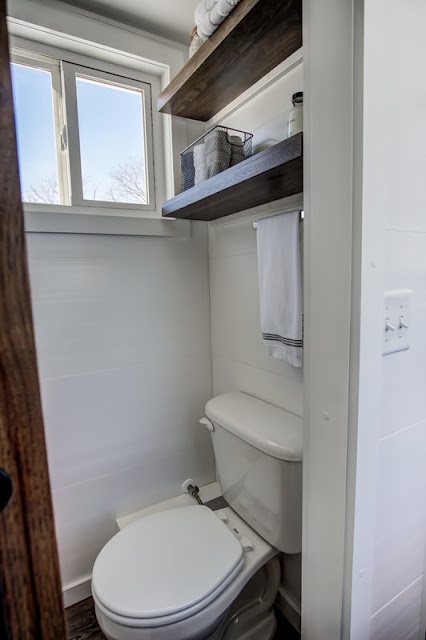 It has the same functional layout of the original, but with a bright modern/rustic design throughout the interior. 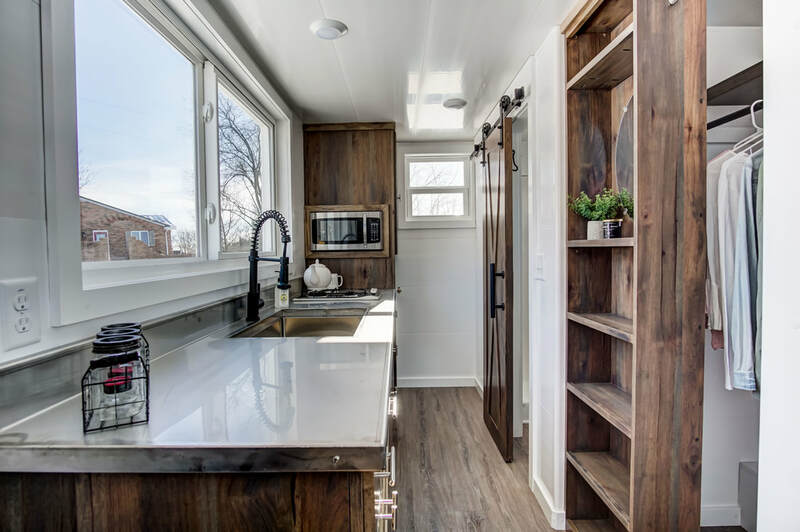 The Cocoa is 20-ft in length with a 160-sq-ft interior and is built onto a double-axle trailer. 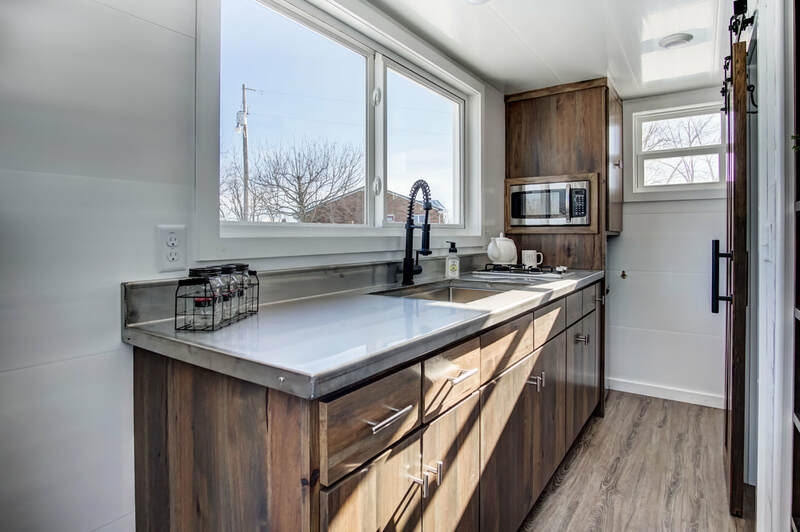 Inside is a beautifully designed kitchen with a stainless steel fridge, microwave, and countertops with a deep sink and two-burner cooktop. 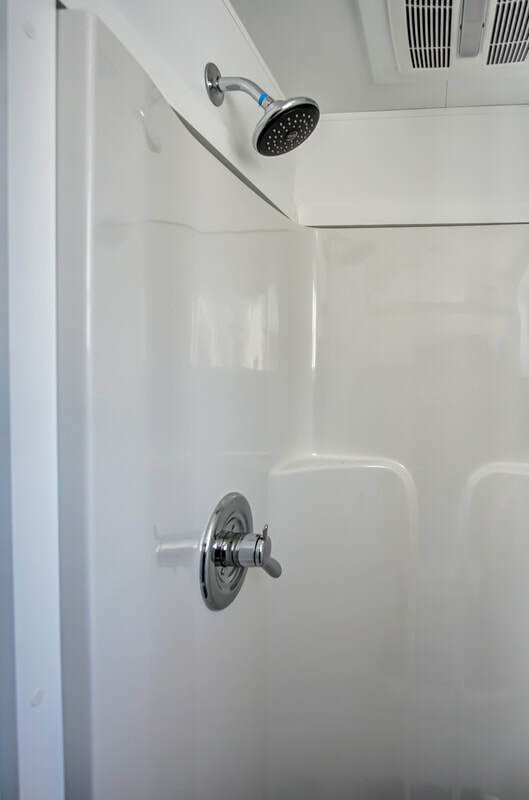 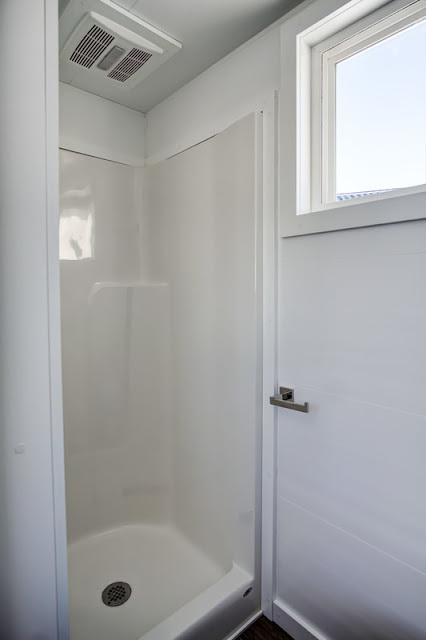 Immediately across from the kitchen is the home's bathroom, storage space, and a closet. 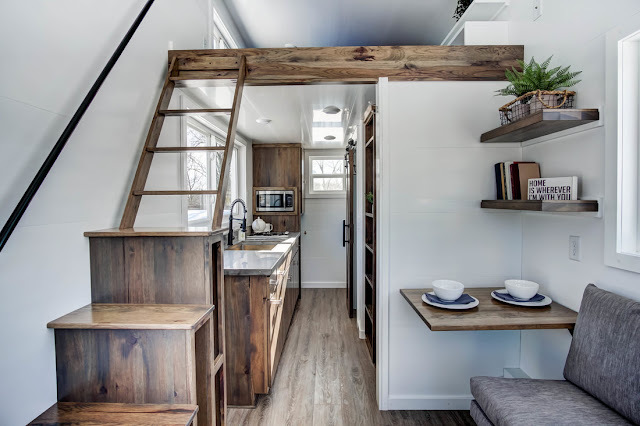 Also included is a living room with sofa and storage underneath, plus shelving. 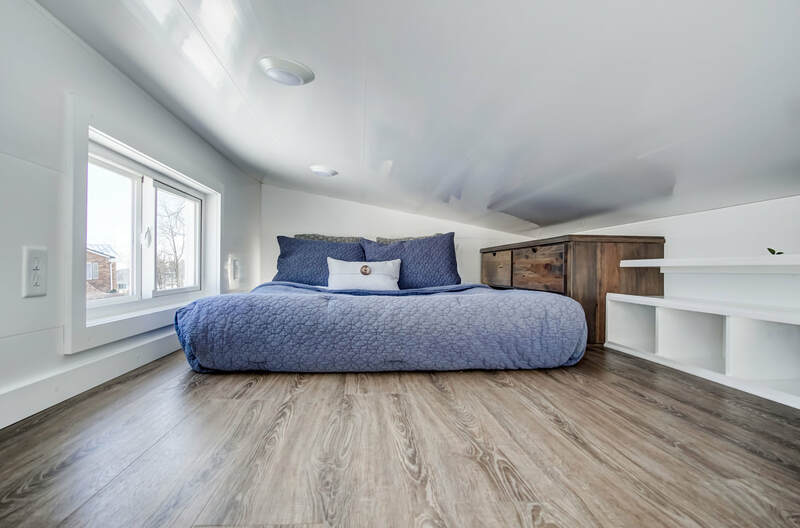 The loft bedroom, accessible by stairs, has several windows to keep the intimate space light and bright! The Cocoa will be available for rent via Try It Tiny! 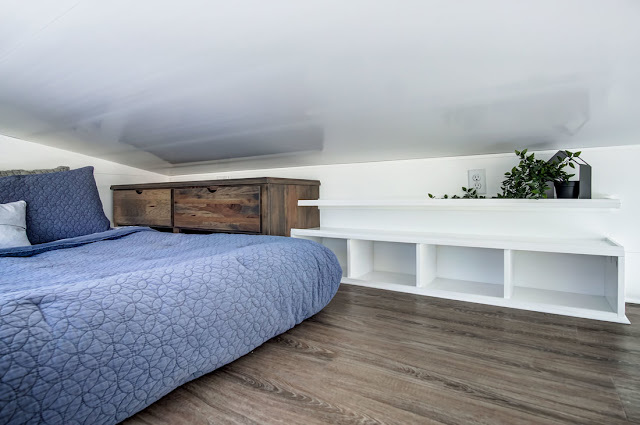 To order your own model of the home, exactly as shown, will cost $59,000. 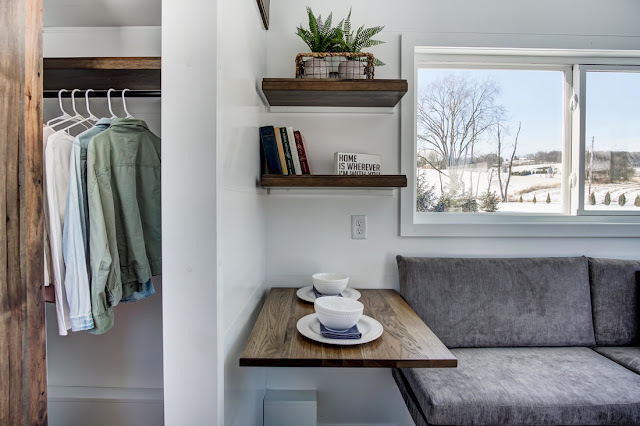 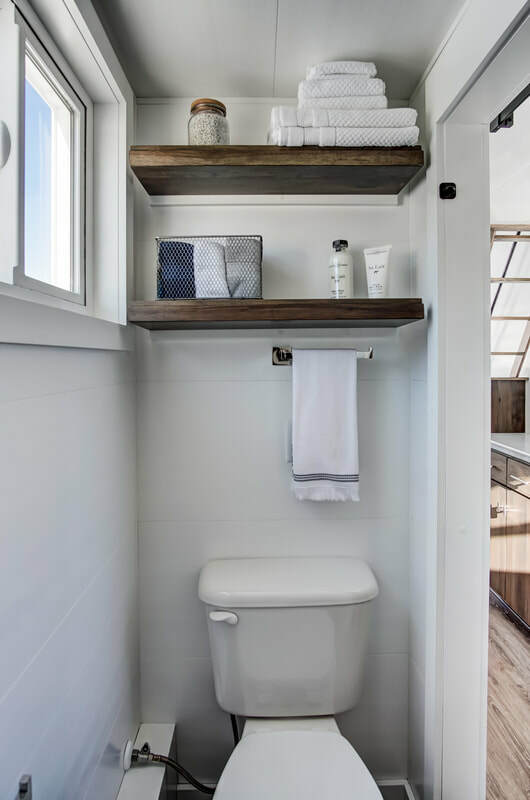 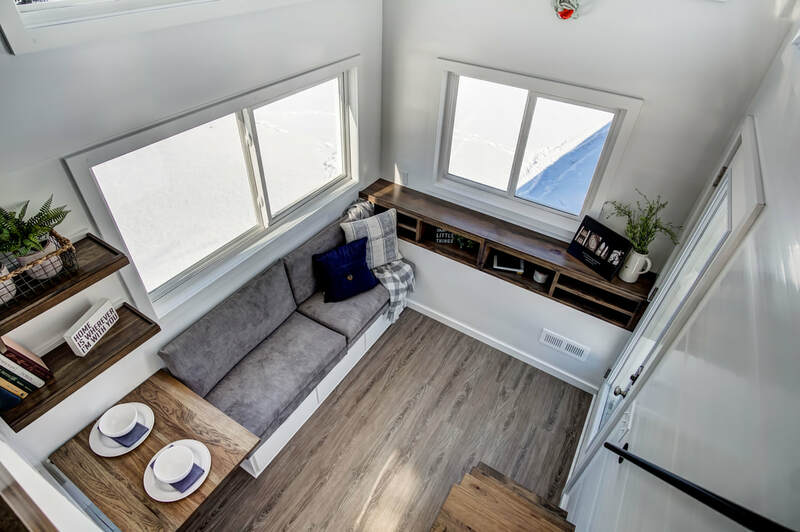 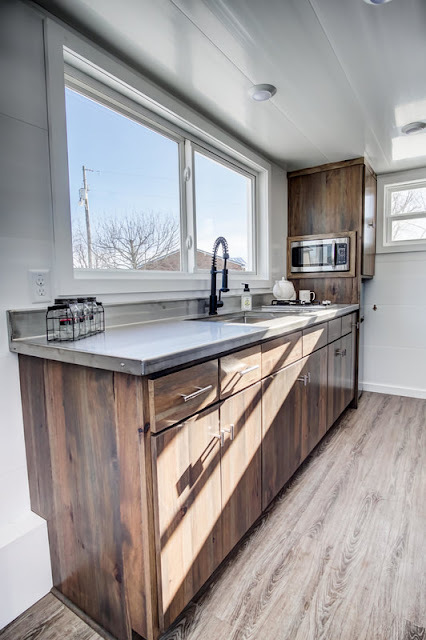 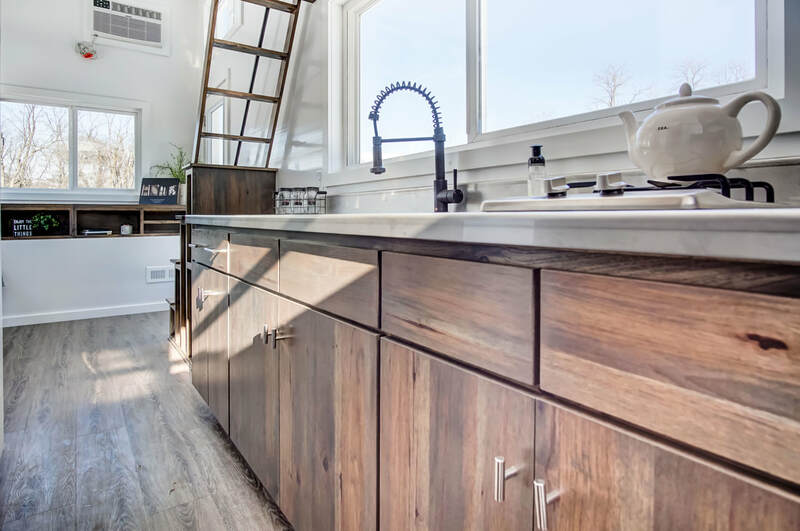 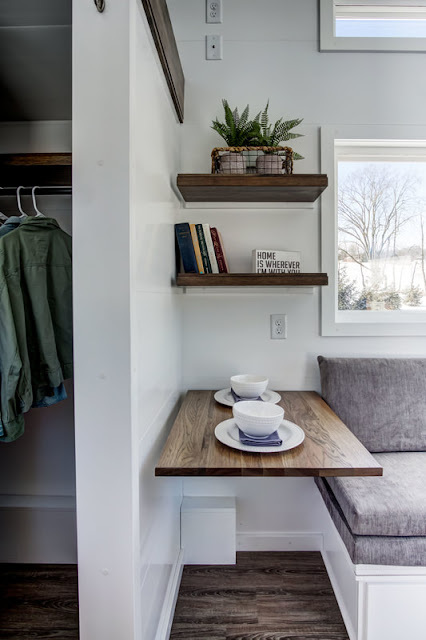 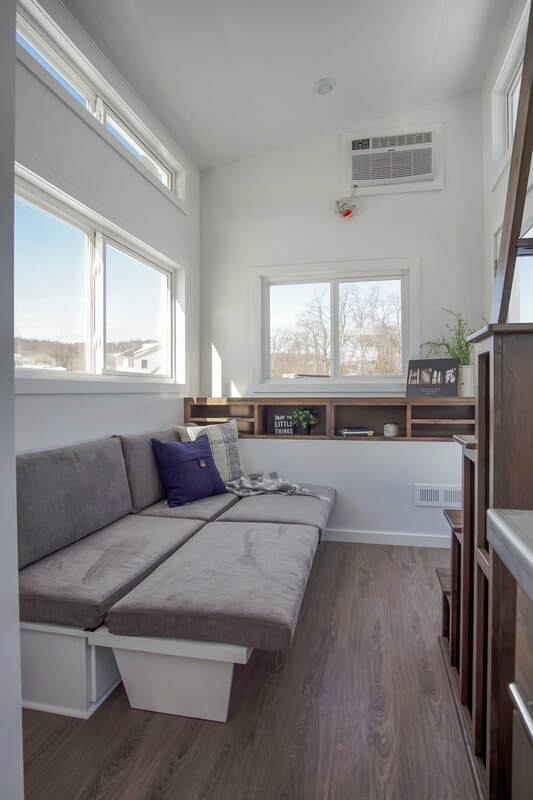 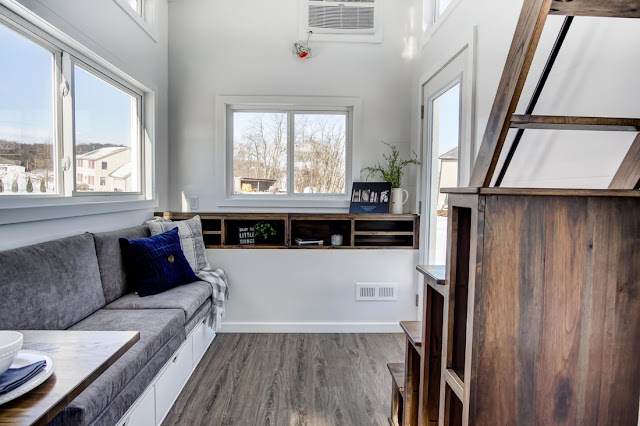 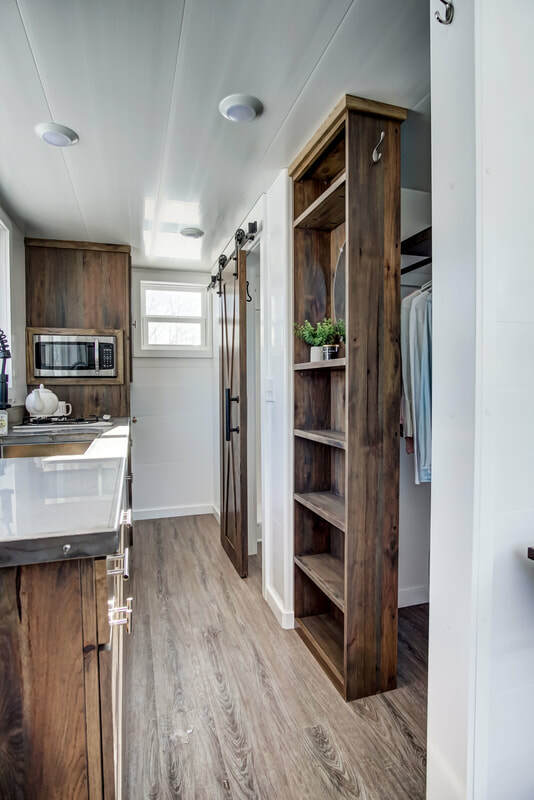 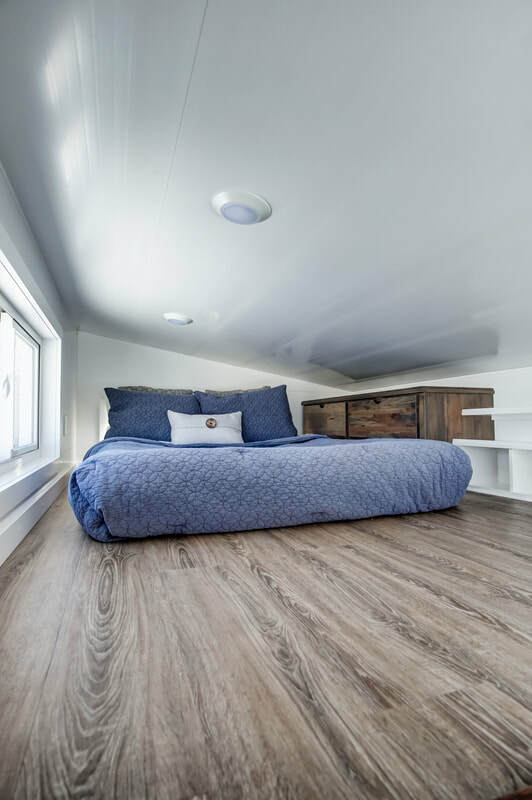 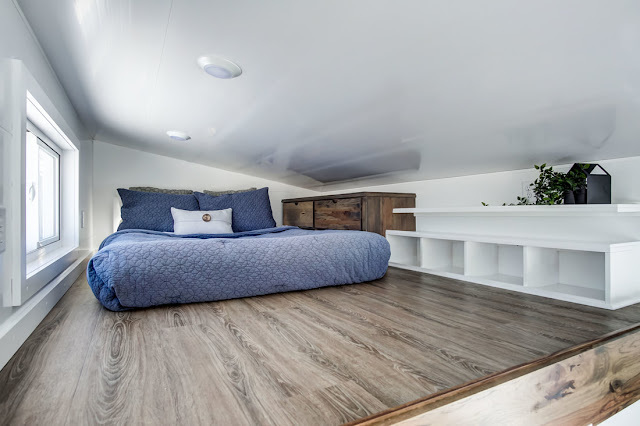 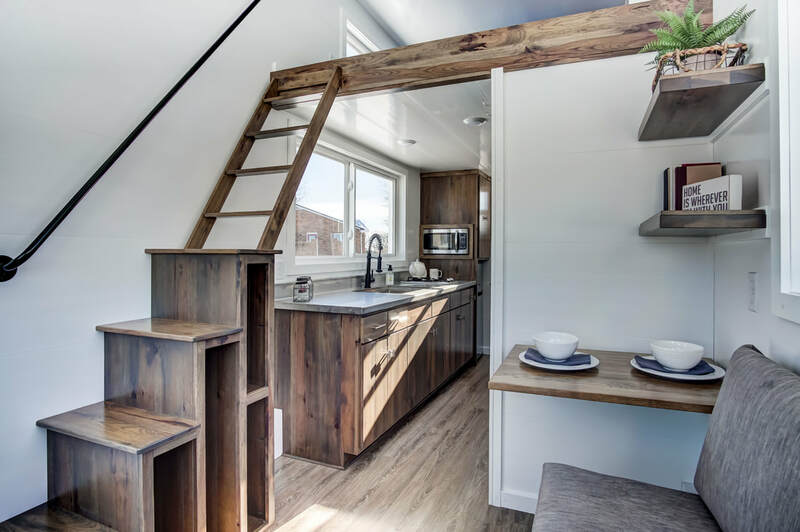 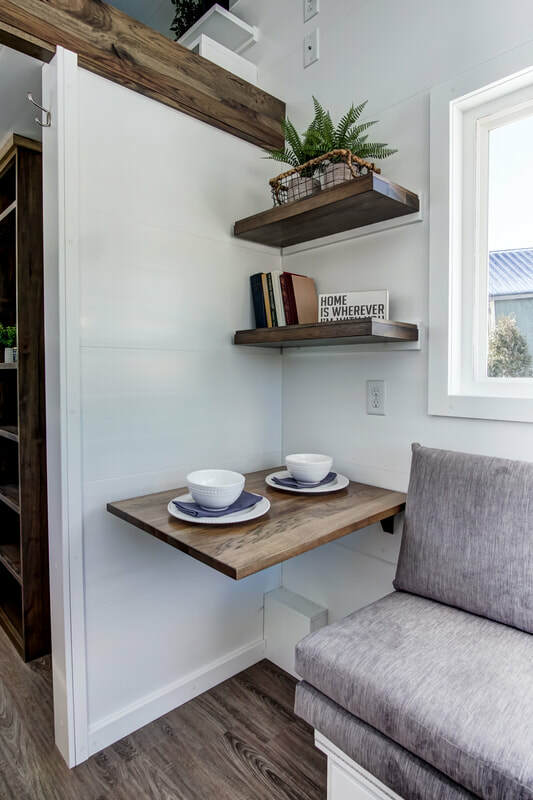 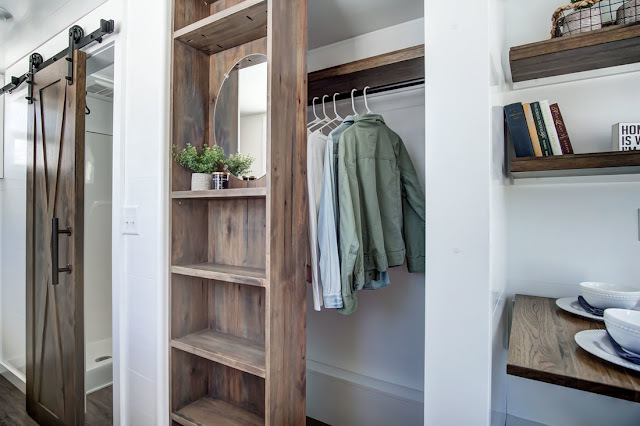 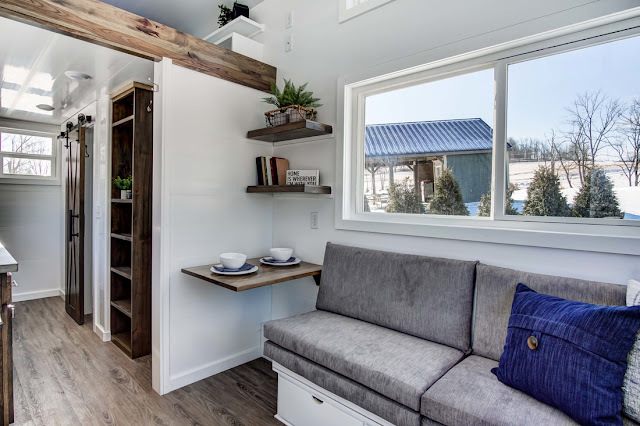 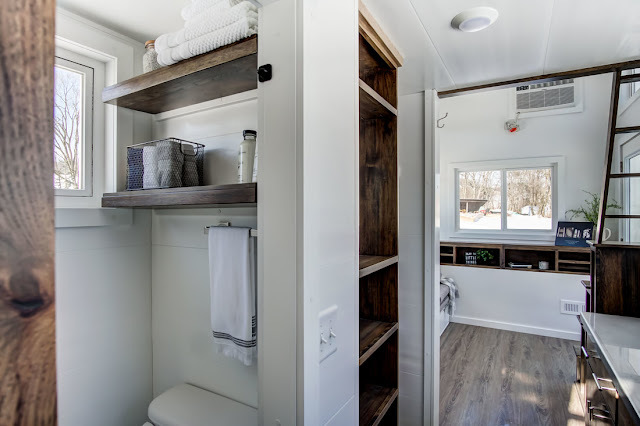 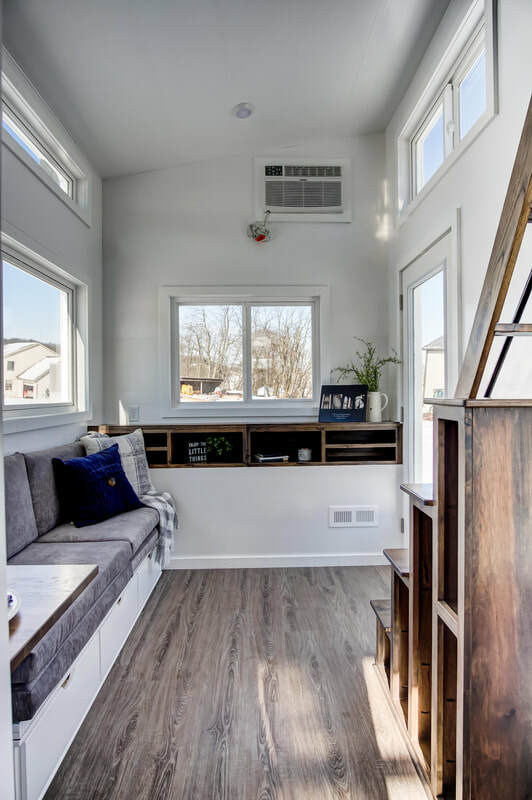 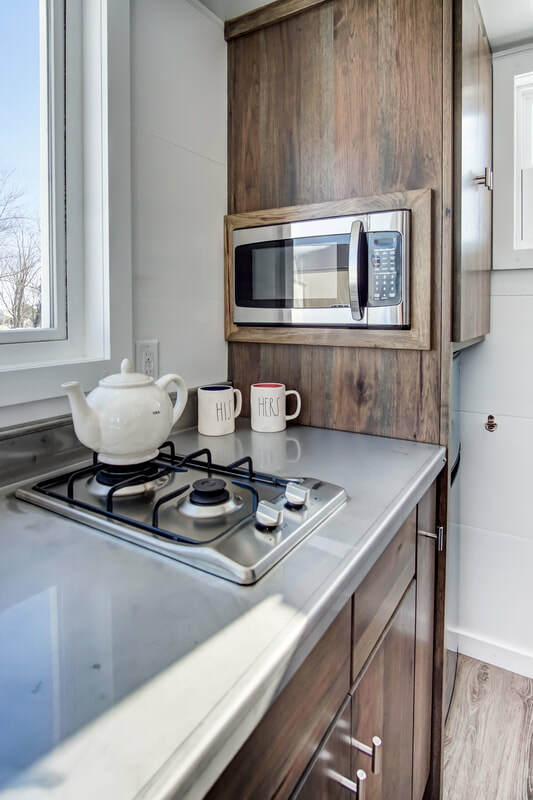 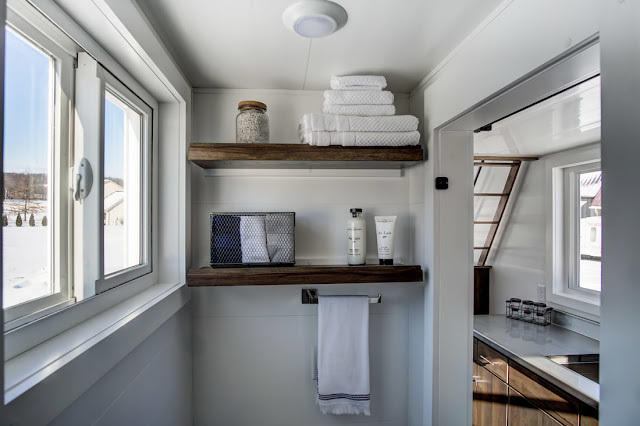 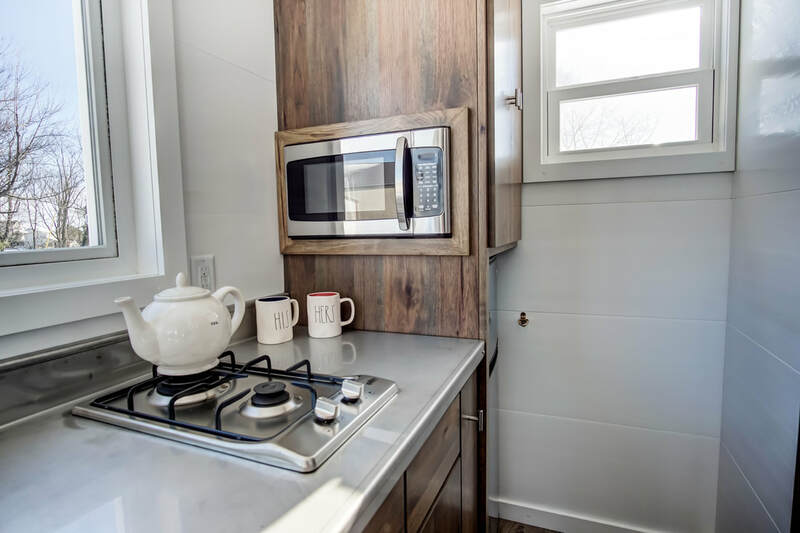 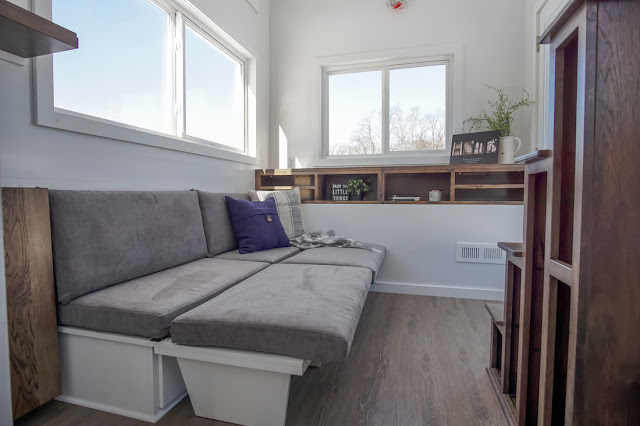 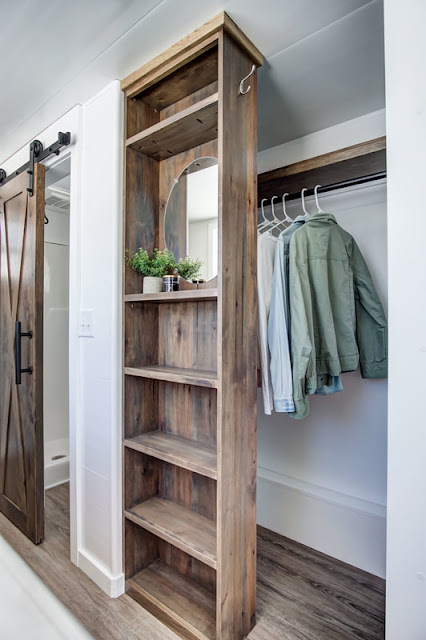 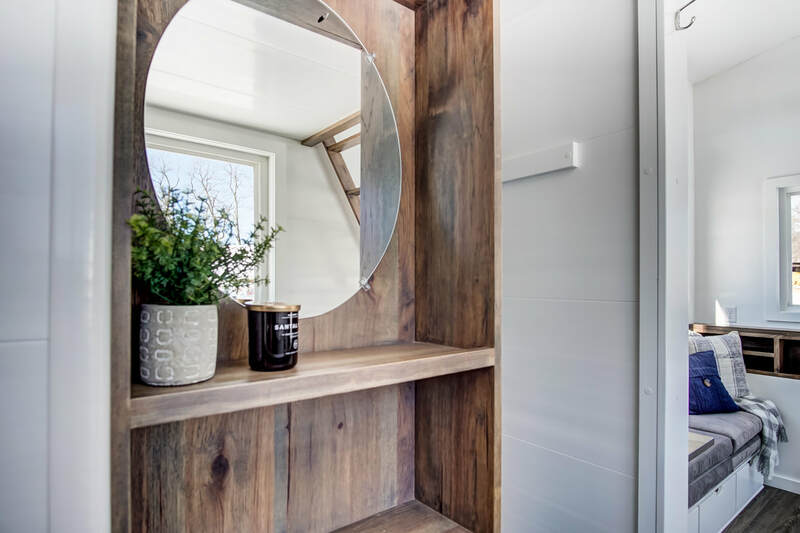 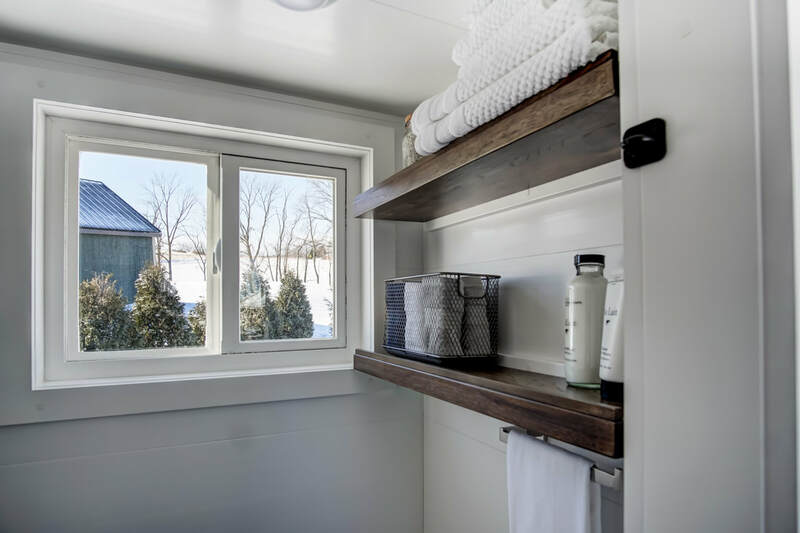 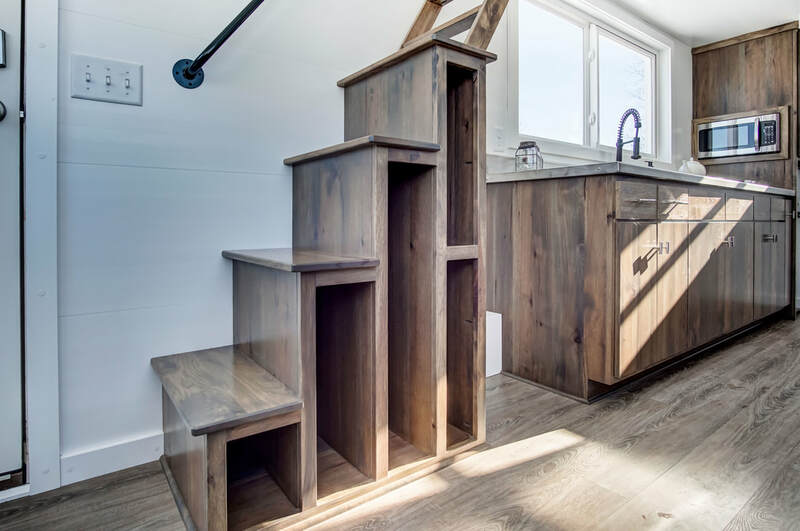 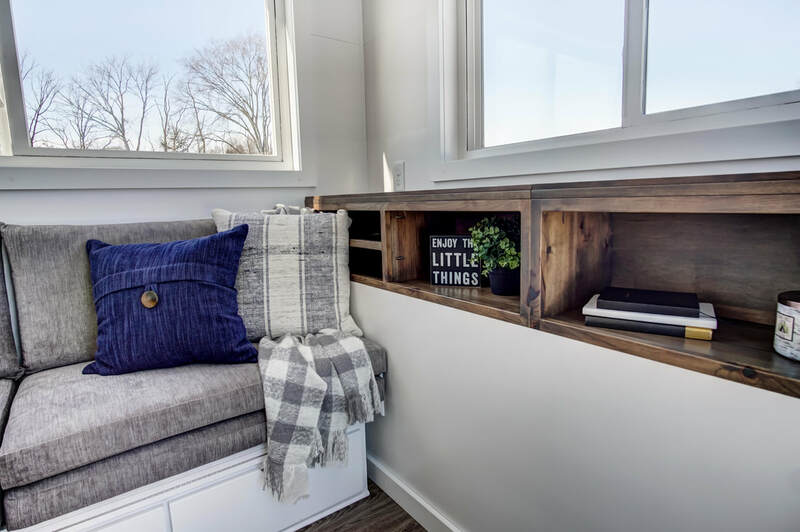 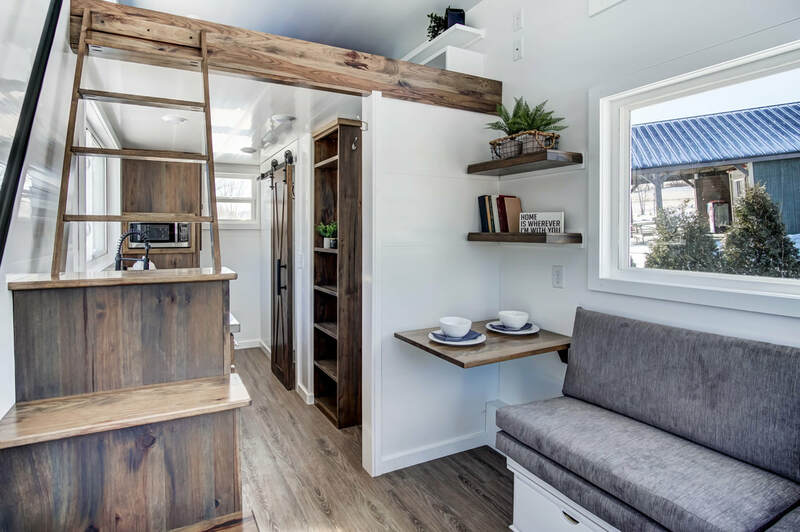 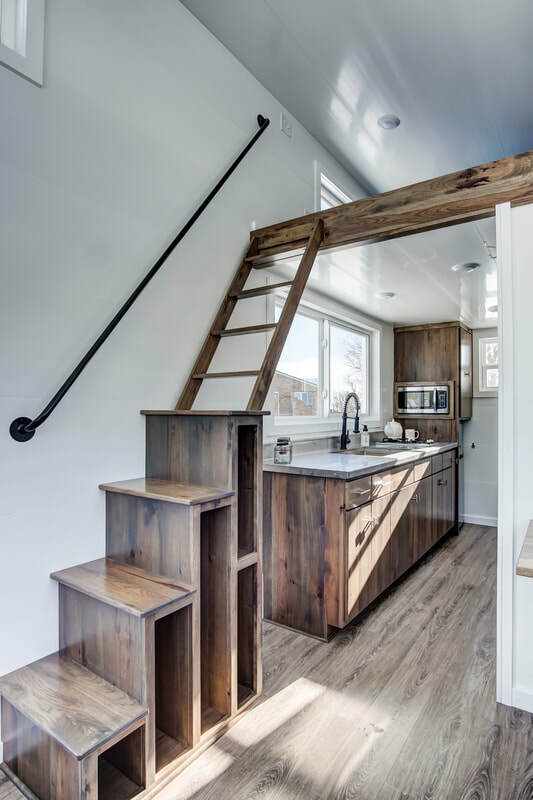 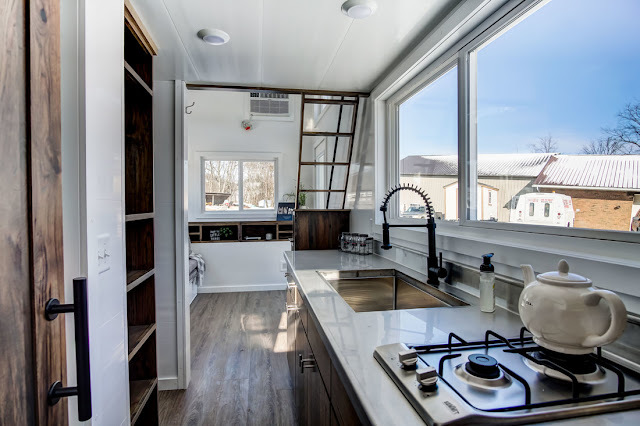 For more information on the home, contact Modern Tiny Living here!